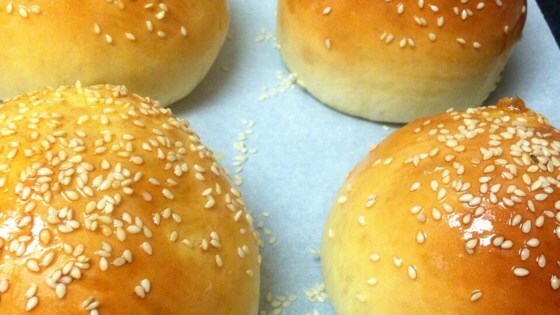 Simple homemade buns will add a gourmet twist to your next BBQ. Excellent. I used my bread machine dough cycle and they came out perfect. I let the dough rise for an hour before shaping the buns. Then I let the buns rise for 35 minutes. The best!! These were easy to make, but a little on the dense side. I would try the recipe again with a little more yeast.